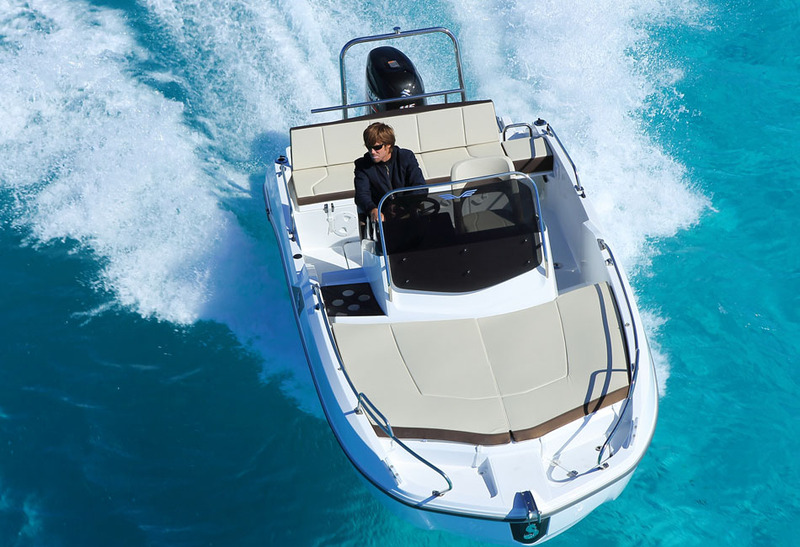 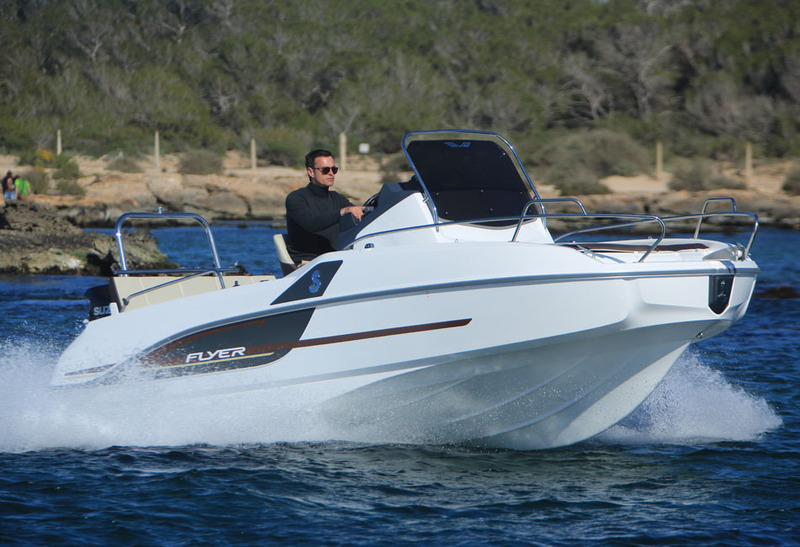 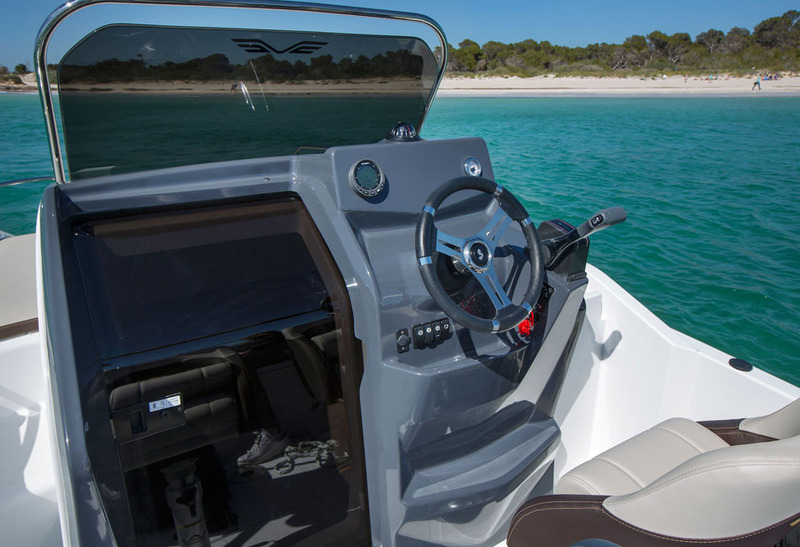 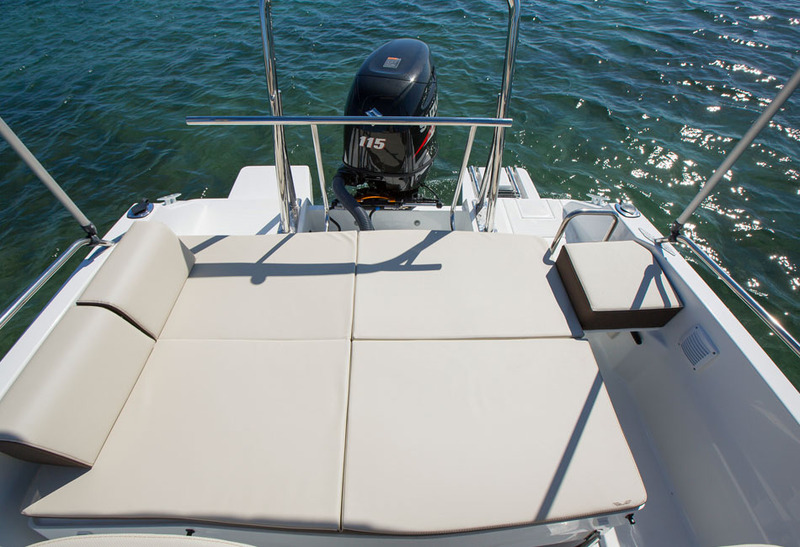 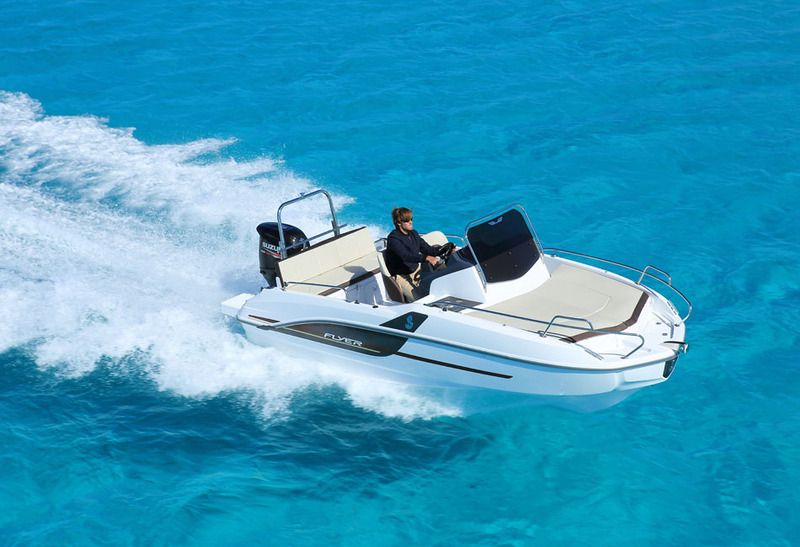 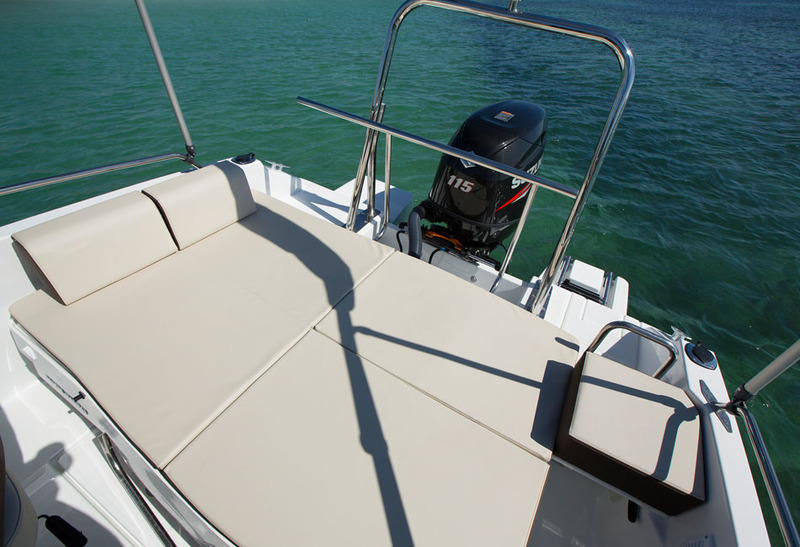 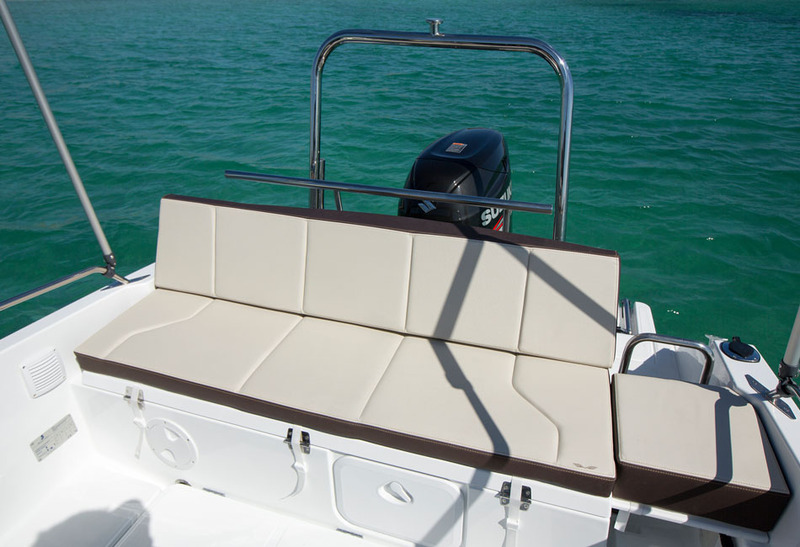 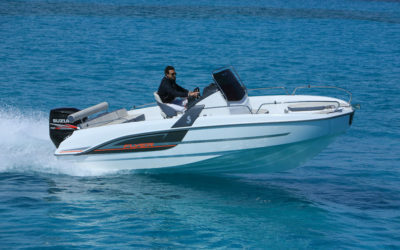 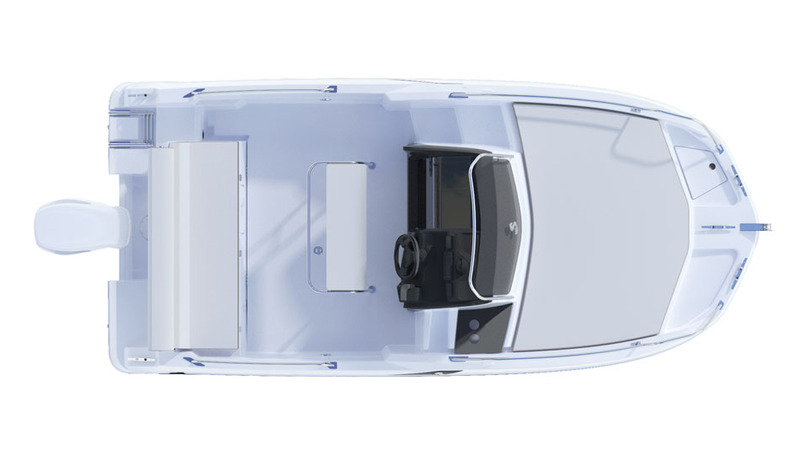 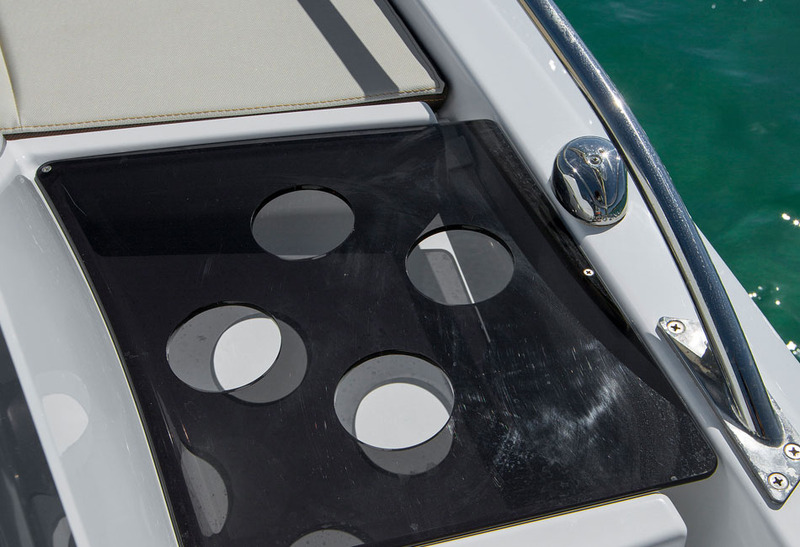 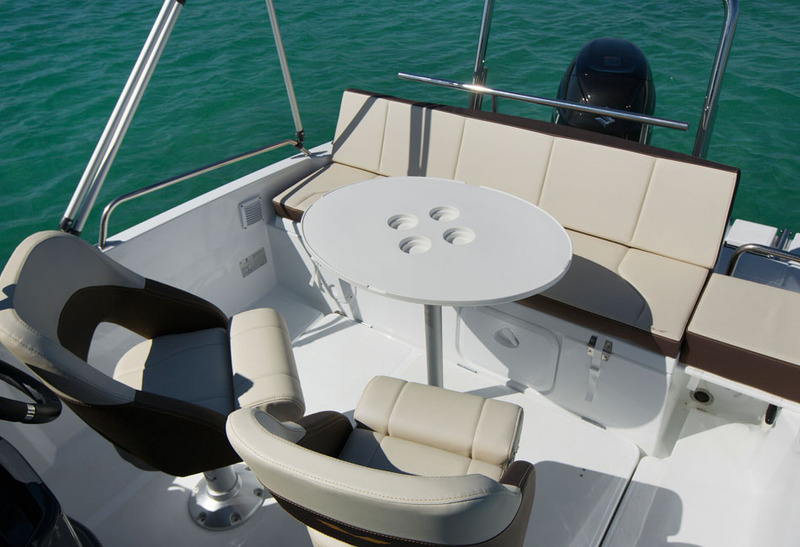 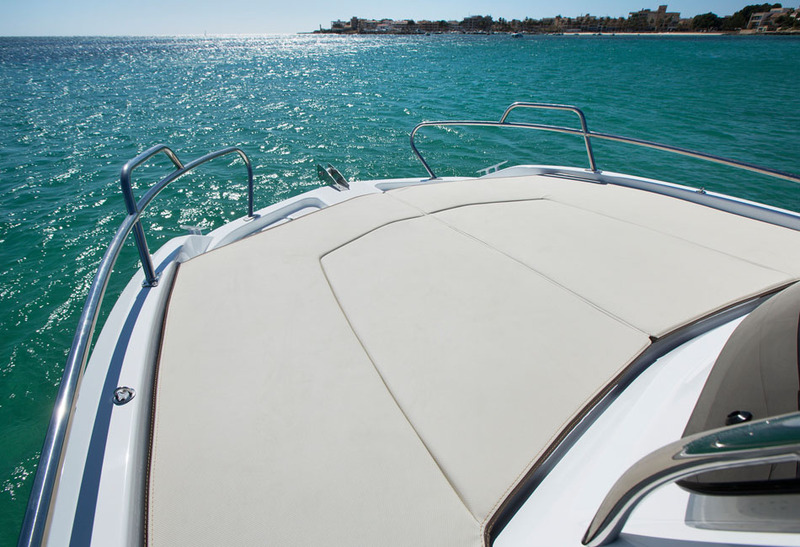 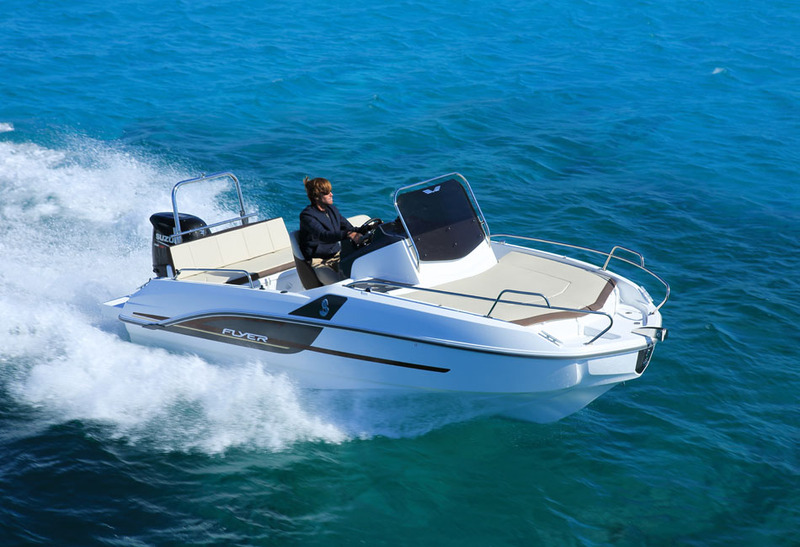 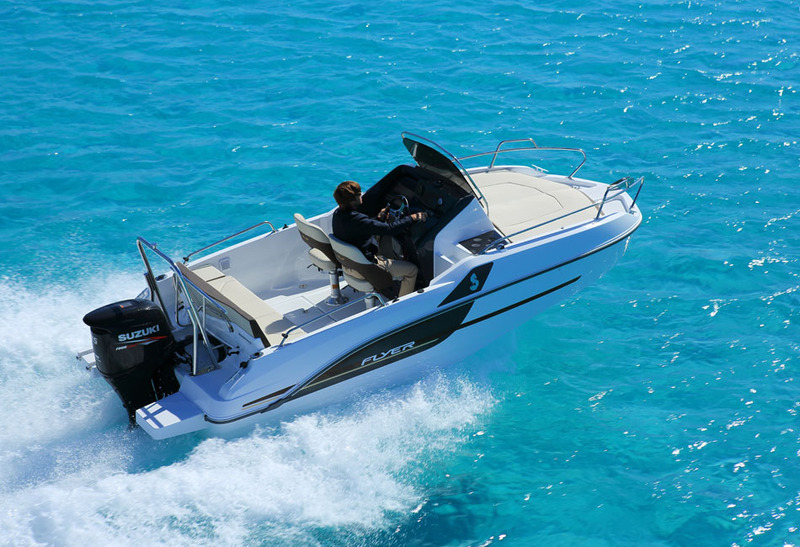 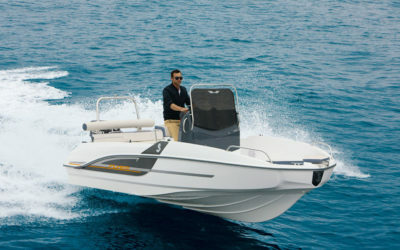 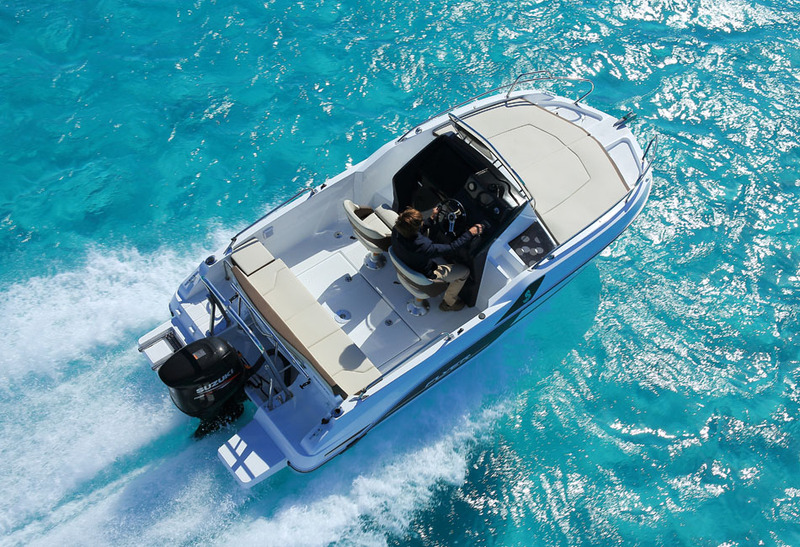 The Flyer 5.5 Sundeck may be small, but has all the featured you’d look for in a larger boat. 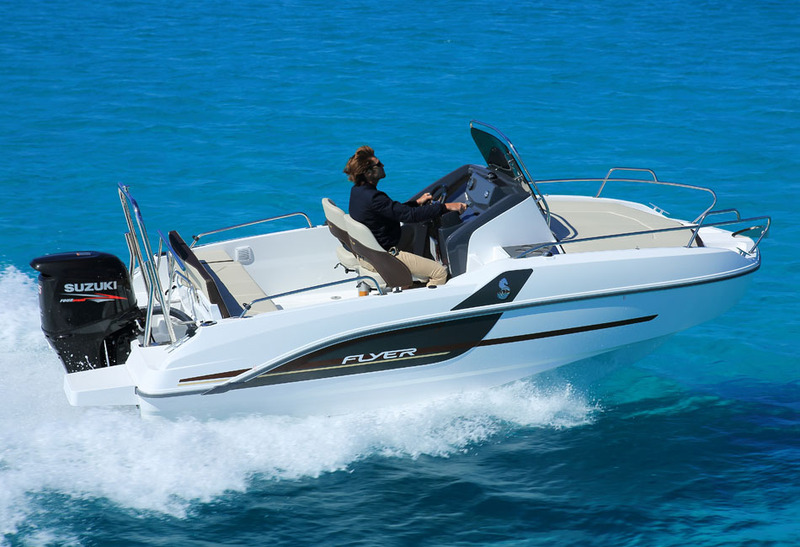 The level of comfort offered by the Flyer 5.5 Sundeck is remarkable, considering her size. 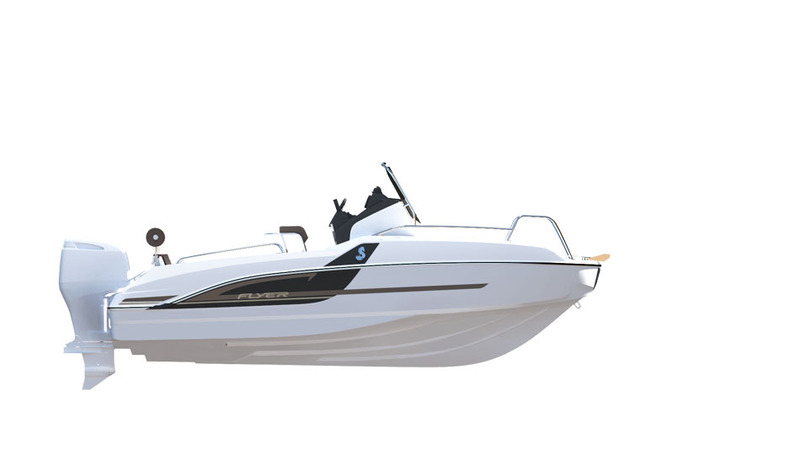 She has a sleek, sporty silhouette accentuated by profiled lateral struts and a v-shaped hull that enables her to seamlessly deflect water. 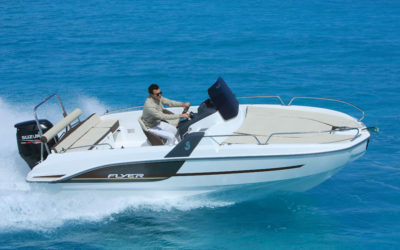 The Flyer 5.5 Sundeck is distinct thanks to the signature brown line on her exteriors. 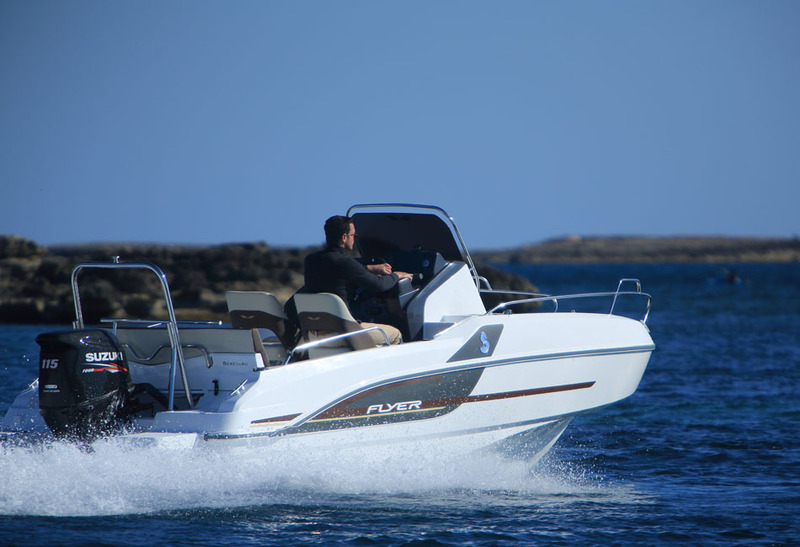 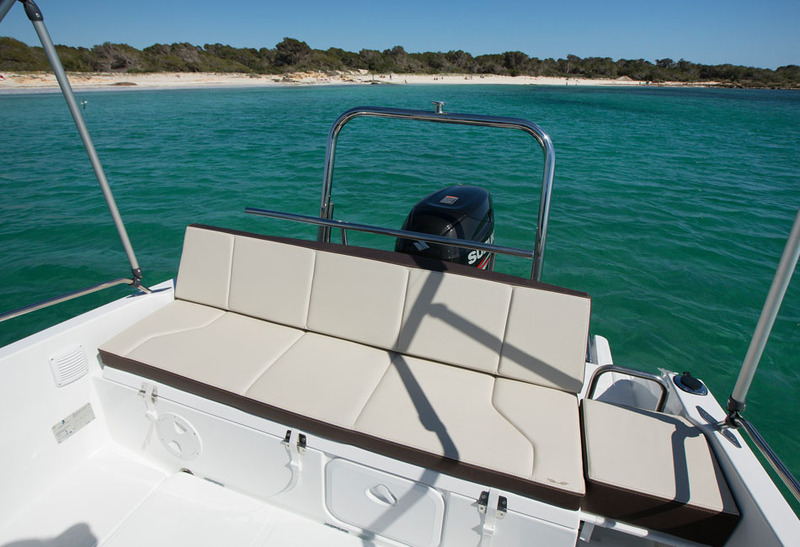 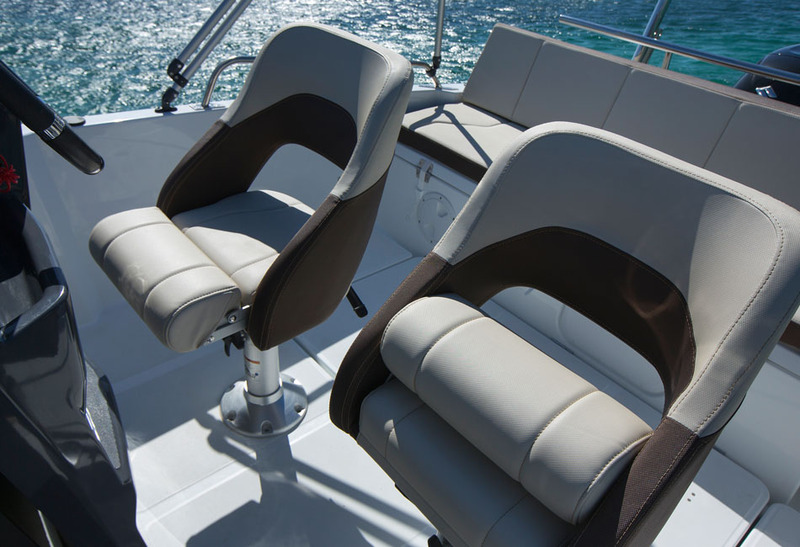 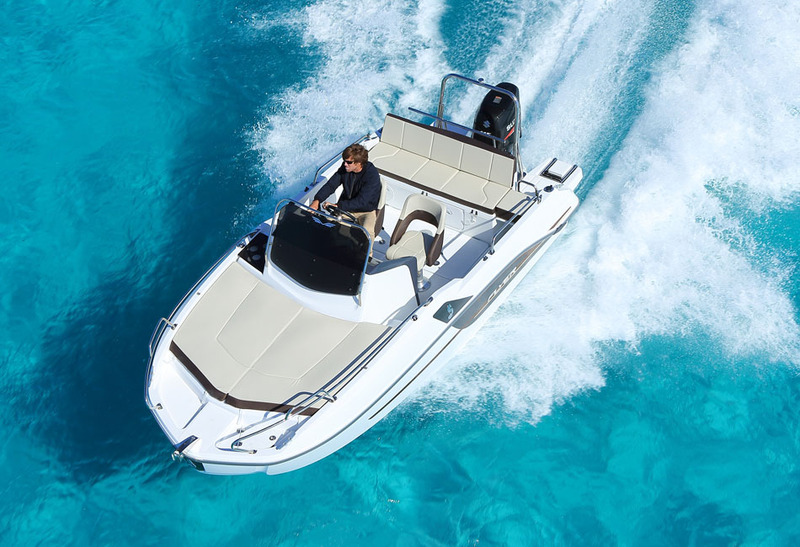 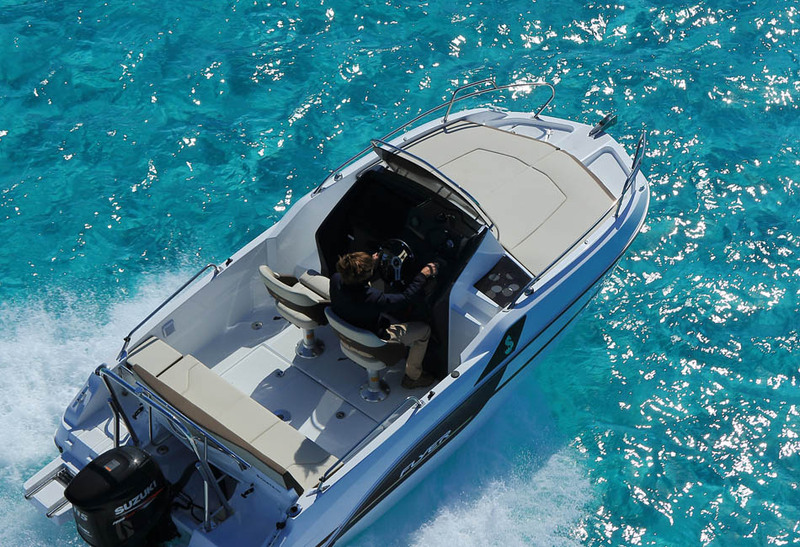 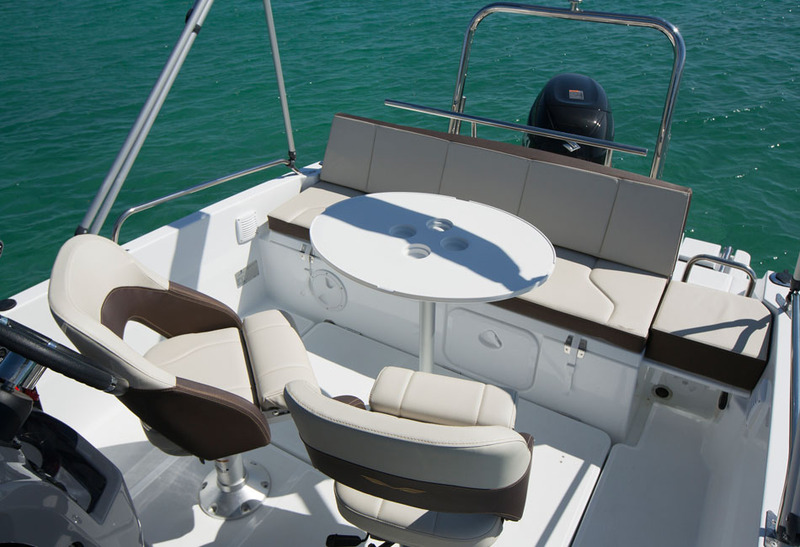 The Flyer 5.5 Sundeck has two driver seats, a spacious aft bench seat, a sundeck that provides shelter on a forecabin, and enough space to carry what you need to enjoy days at sea.